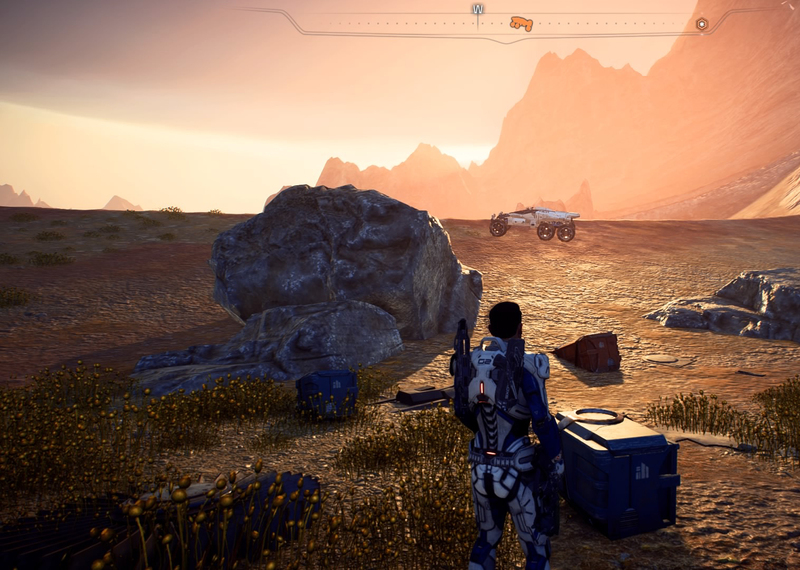 Mass Effect Andromeda (Bioware, 2018) invites the game tourist to explore faraway places and document their surroundings and foreign cultures through virtual photography. To capture these fantastic worlds and their natural and cultural phenomena is a pleasure in itself. 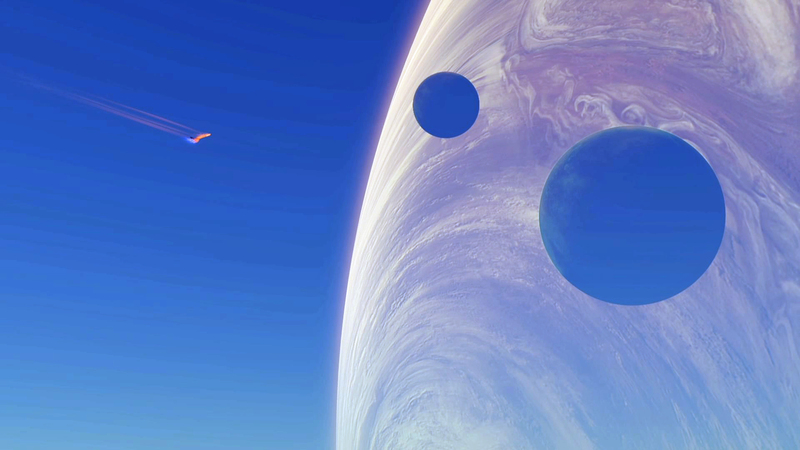 As an astronaut of outer space, the game tourist embarks on this venture, which nonetheless does not posit her or him solely in the role of a distance spectator but at the forefront of the struggle for Utopia. 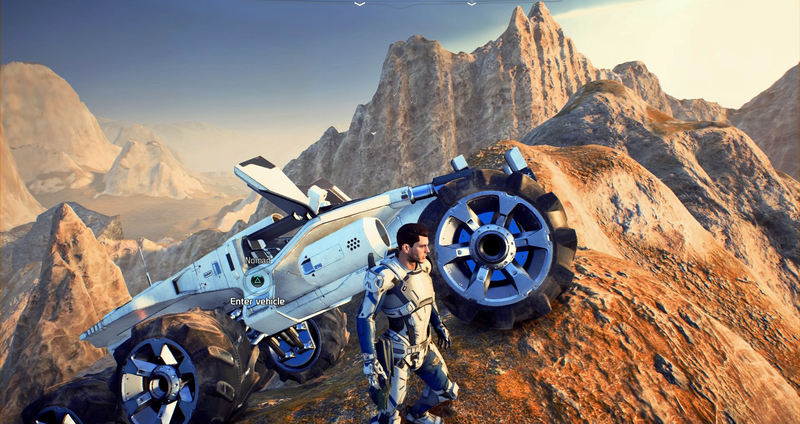 Mass Effect: Andromeda follows a new utopian (ecological) trend in contemporary SF. It moves away from dystopian dreams of nightmare and envisions a positive premise in a faraway future in which humankind searches for a new home in the depths of space. 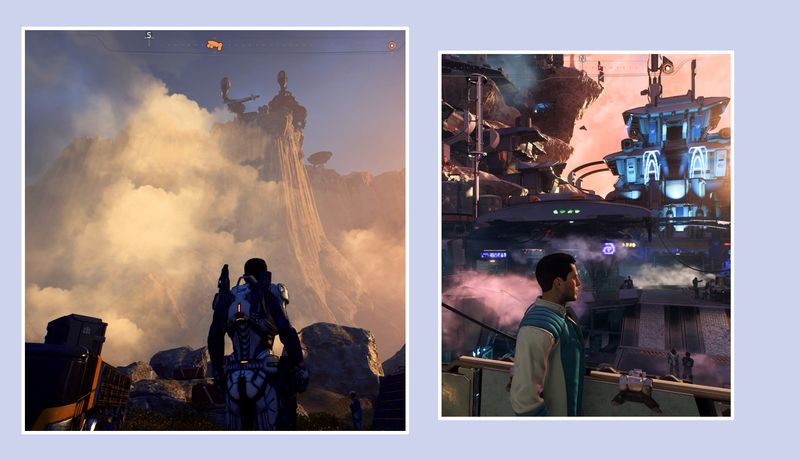 The game endows players (in the form of Sara or Scott Ryder) with the task to transform the Heleus cluster of the Andromeda galaxy into a habitable space of co-existence with different races—for the supposedly Golden Worlds are not the promised Utopias the Initiative expected. A dark phenomenon, called the Scourge, has made life on the planets unbearable, and it is up to the players to restore these ecosystems. 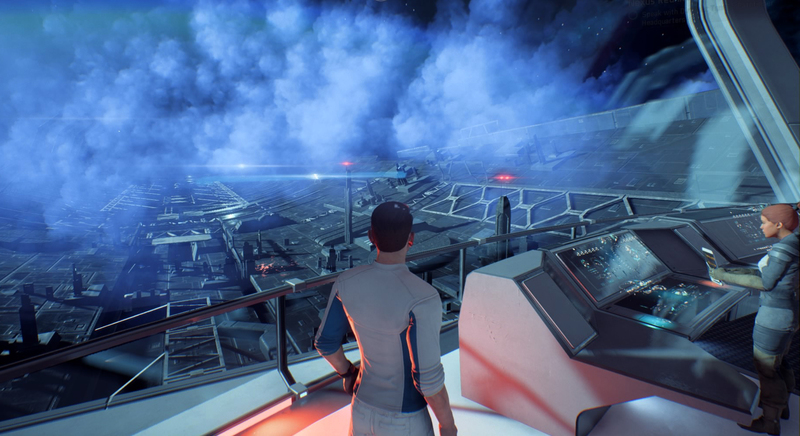 This attempt at a fresh start confronts players and game tourists alike with a conflict between ideologies and (alien) ethnicities they have to mitigate—the Angara/Roekaar (natives), Krogans (military), kett (colonizers), Initiative (colonizers)—and involves them in a regenerative but precarious struggle for Utopia and the documentation of it. 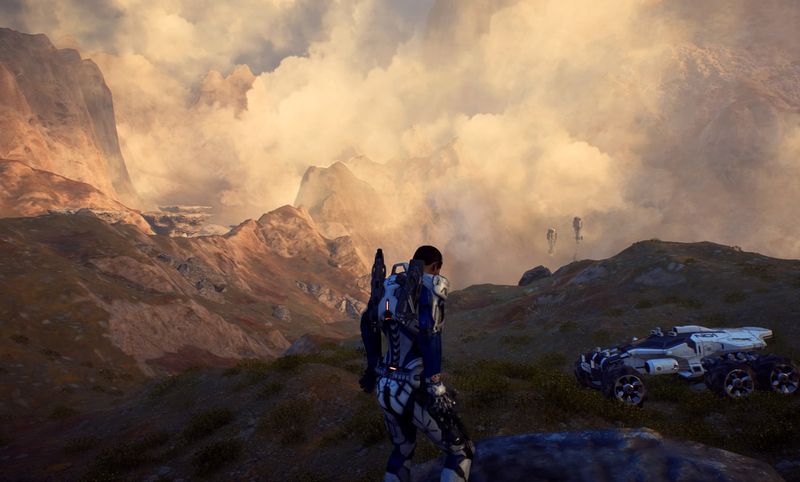 As such, Mass Effect: Andromeda foregrounds the encounter with the Other (known from postcolonial SF) and builds on builds on the plot framework of the critical utopia. This variant of utopia has the protagonists/players encounter a promising but flawed world, where arising issues aggravate the struggle for a better future and demand the negotiation between many parties (cf. Sargent 8-9). The critical utopia is thus neither caught up in pessimism nor pure optimism but negotiates the spectrum between Utopia and Anti-Utopia on neutral, cautious grounds (cf. Fortunati 28). It is, as Davis claims, “capable of pointing the way” by breaking “open a horizon of possibilities” (25) while, at the same time, it remains aware “of utopian limitations.” In rejecting naïve “blueprints,” the critical utopia therefore “initiates a process of critique and change” (Moylan 82-84) and posits an imaginative openness that may potentially lead to many possible outcomes (cf. Ibid. ; Baccolini and Moylan 2). the critical utopia represents “a non-existent society described in considerable detail and normally located in time and space that the author intended a contemporaneous reader to view as better than contemporary society but with difficult problems that the described society may or may not be able to solve and which takes a critical view of the utopian genre” (Sargent, “Three Faces,” 9). To document this struggle for Utopia is a reflective process. 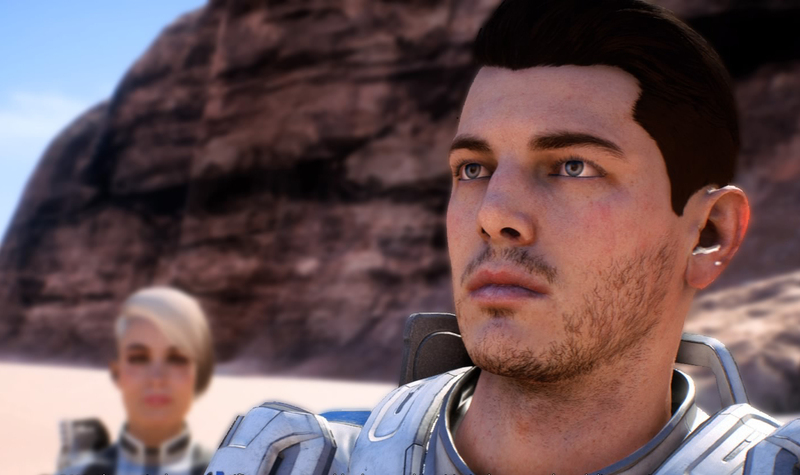 However, the pleasures of the game tourist are not reduced to documentation per se—this is only part of a diverse, emancipated experience in Mass Effect: Andromeda’s gameworld. As such, the notion of regenerative play is linked to players’ interaction with a conceptually open gameworld and its malleability in imaginative and ergodic terms. 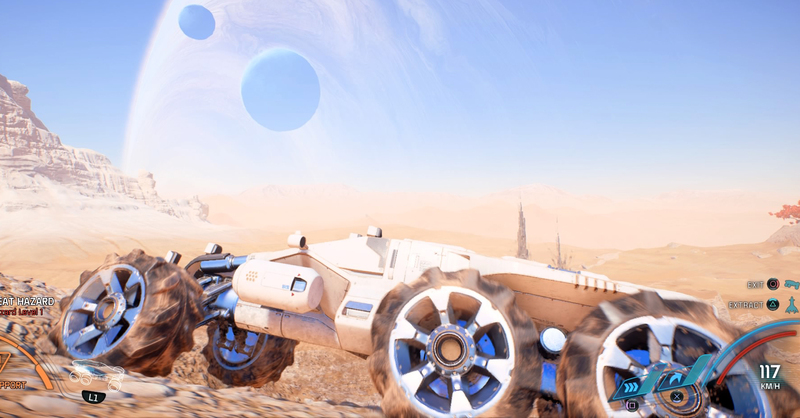 Players may choose, for example, whether to pursue military or scientific routes, which planets to terraform, and (how) to mitigate conflicts between different races and ideologies. 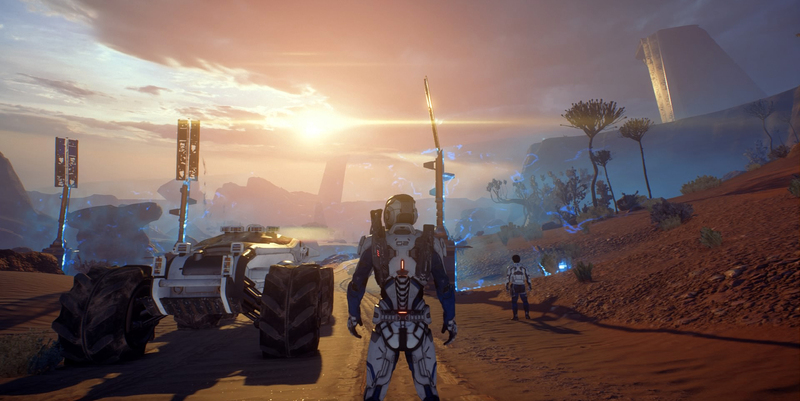 Based on these choices, they will experience an imaginatively open ending to the game, which leaves room for speculation of how this world will develop further. 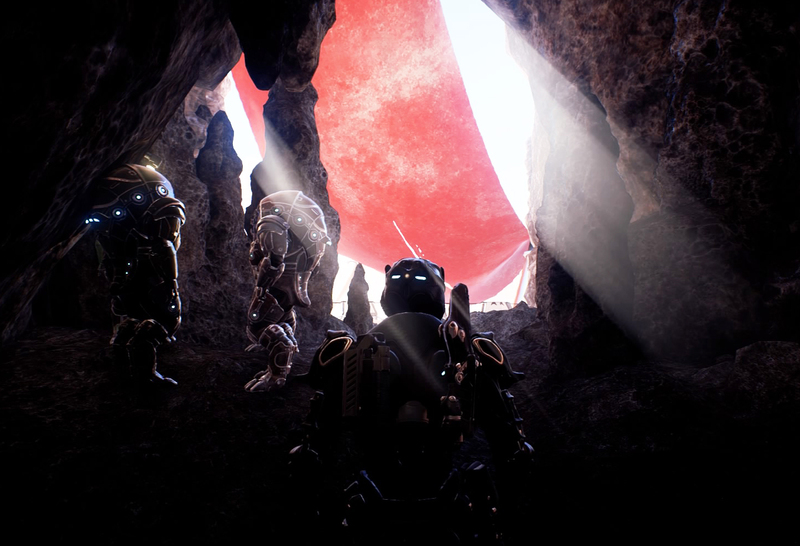 In finding solutions to problems that plague the Heleus cluster, players therefore participate in a trial action that may translate to their (potential) struggle for Utopia in the real world. They may learn from the virtually experienced by pondering the similarities between both worlds and give expression to their experience by composing (virtual) art galleries that foreground specific places, events, issues, and cultures/characters. When players arrive in the Andormeda Galaxy, the planets of the Heleus cluster suffer from an ecological catastrophe, called the scourge. This dark phenomenon and unexplicable web of energy is the result of a ancient conflict (the usage of a powerful weapon) between the Jardaan and an unknown race. The scourge not only sets the habitats into strife but is also a sublime phenomenon for the game tourist to capture on camera and ponder its ramifications. “Whatever is fitted in any sort to excite the ideas of pain and danger, that is to say, whatever is in any sort of terrible, or is conversant about terrible objects, or operates in a manner analogous to terror, is a source of the sublime; that is, it is productive of the strongest emotion which the mind is capable of feeling” (22). It is this feeling of pettiness and astonishment face-to-face to a strange and hostile wilderness that evokes in players reflections about life, nature, and culture (Burke 2017: 35-37) and inspires the game tourist in her or his choice of motives. 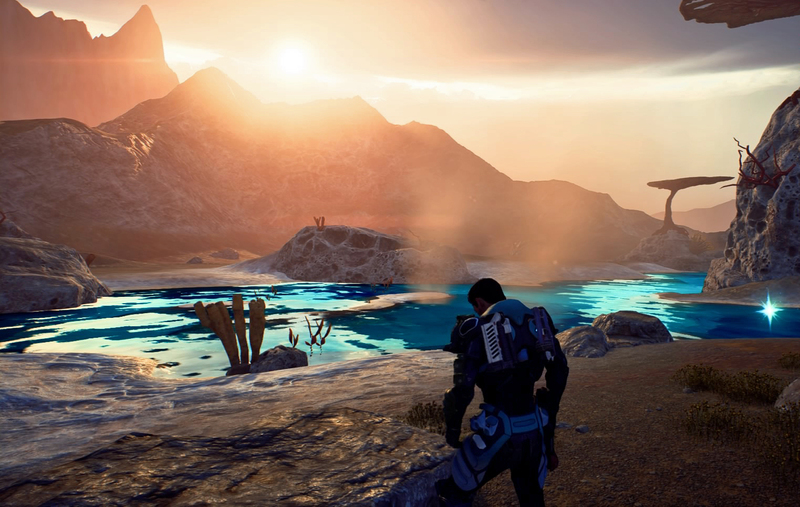 Especially interesting is the planet Kadara, where a three-tier society has developed, and where Nexus exiles, mercenaries, and outcast compete for dominance in a rocky world. Players may intervene in the politics of this planet, and aid the leader of their choice—whom the deem best to run things—to stay in power or gain it. 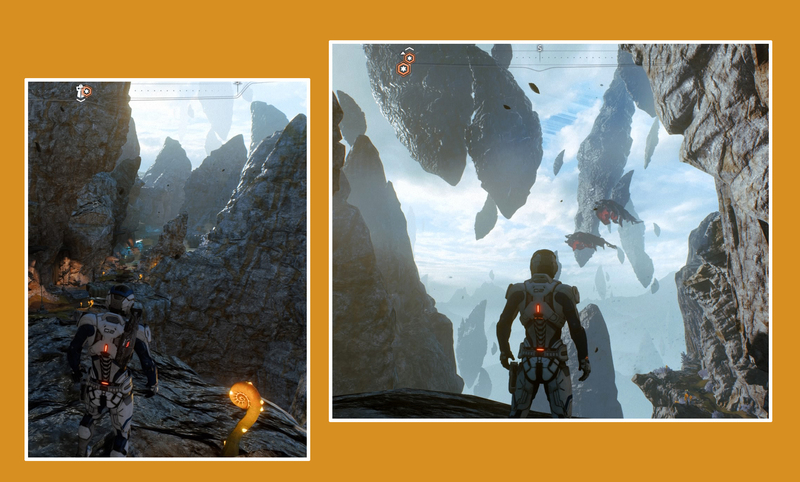 Kadara port, thereby, is probably the most beautiful location in the game (reminiscent of the trilogy’s Omega) and a place for both pleasure and danger. 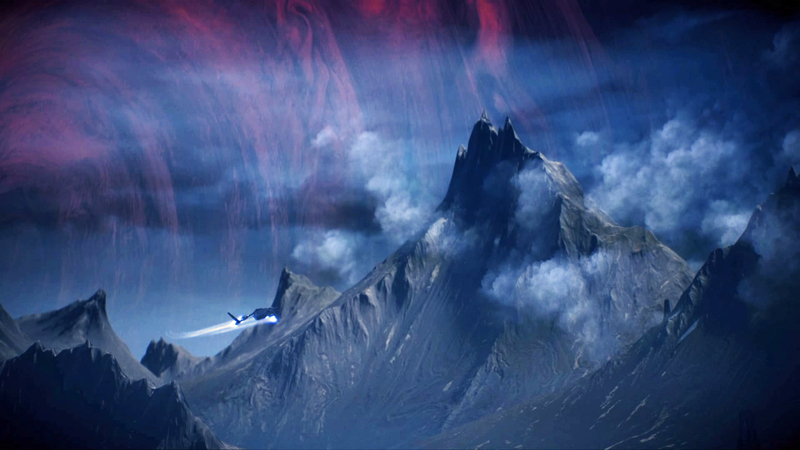 It lies high up on a rocky mountain range, whereas the lands below are plunged into chaos. 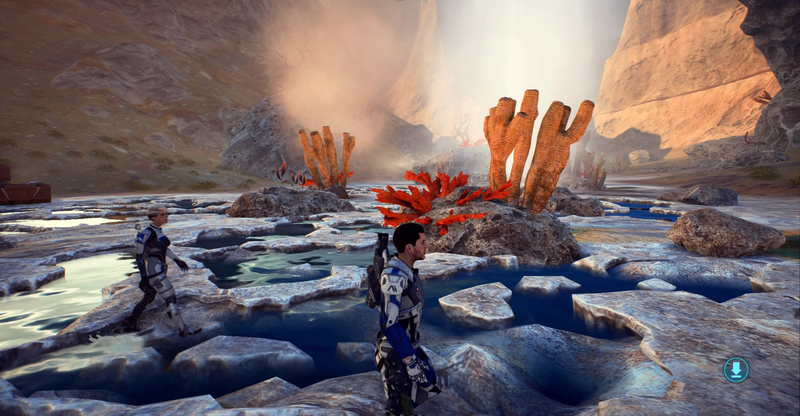 Besides the situation on Kadara, there are a couple of conflicts in the Heleus Cluster, which players may choose to mitigate (or not). One of them is a long-lasting problem with the Krogans, a warmonger race that reproduced easily, gained in numbers, and plunged the Milky Way into chaos. 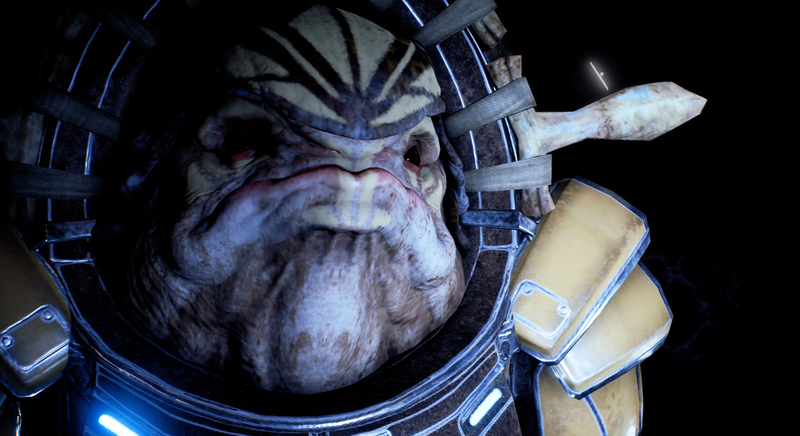 Salarian scientists found a radical solution to the Krogan issue in the Genophage, a biological weapon that robbed them of their ability to reproduce. Not only were the Krogans thus pushed to the edge of extinction, but they were also isolated in political affairs. 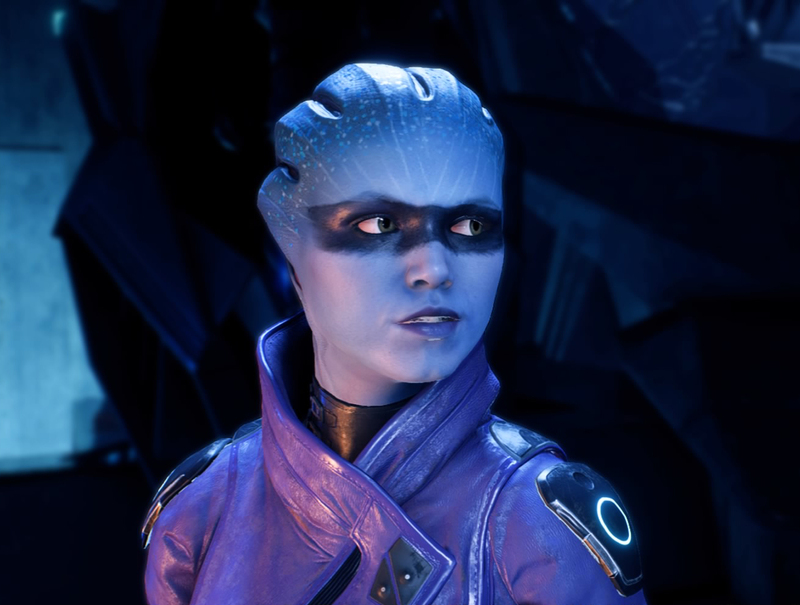 In Mass Effect: Andromeda players may now choose whether to repeat history and isolate the Krogans (on political and cultural grounds) or give them a say in the Initiative. 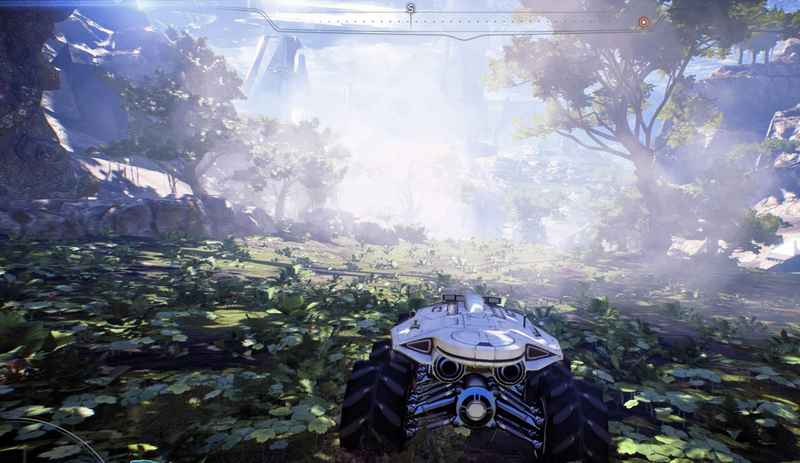 Specifically, players can choose whether to hand them a Drive Core to accelerate the terraforming of their planet, Elaaden, or use the core’s power for the Nexus. 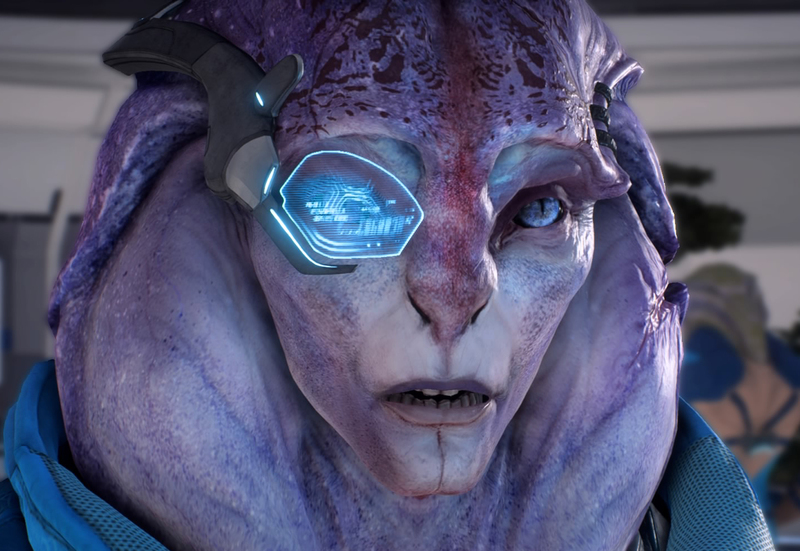 Director Tann (a Salarian) is against the inclusion of the Krogans, but players may choose differently. 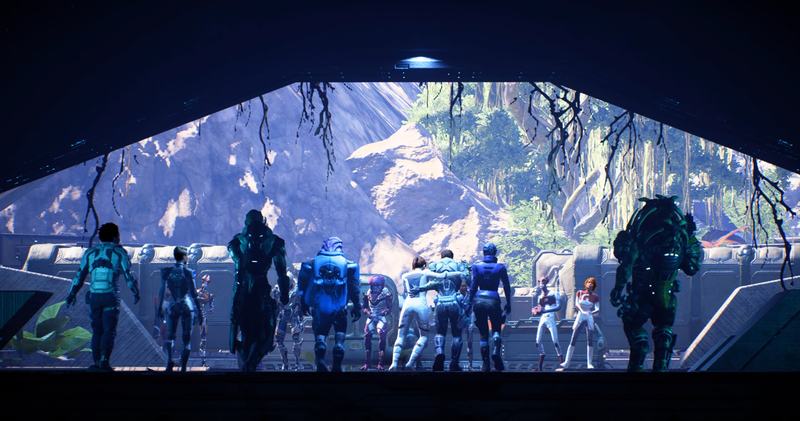 Whatever players decide, it has the game’s ending shine in an imaginative ambiguity and openness due to an unknown future of the Krogan society and how things will develop further. 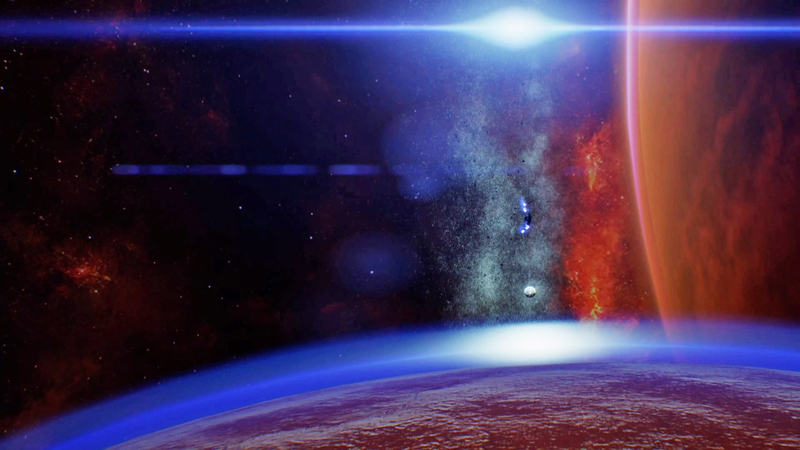 An additional conflict is that between the kett, the Initiative, and the Angara. When players arrive in the Heleus cluster, they come across two indigenous races that seem to repeat human history: the Angara and the kett. The Angara are a friendly, colourful, and intelligent species that remind one of the Native American population. They welcome the Initiative but, nonetheless, retain a skeptical distance at first. 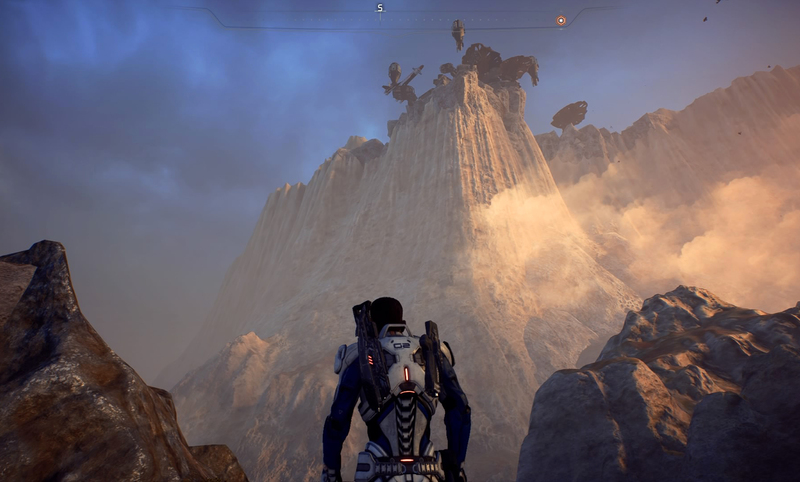 The kett, on the other hand, represent the colonizers of this galaxy. 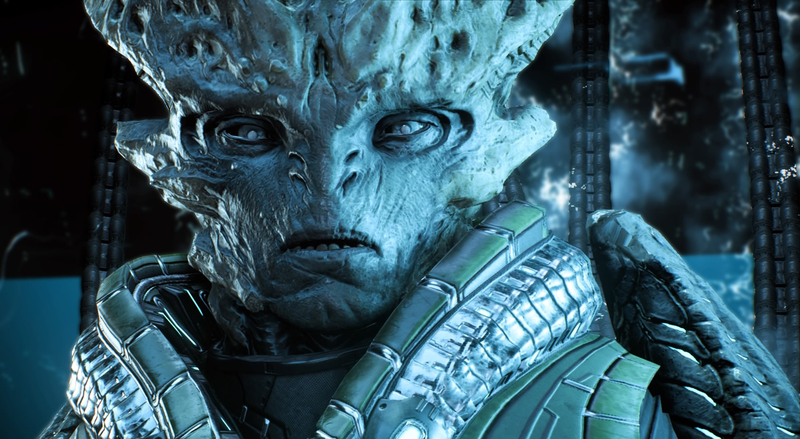 Their appearance resembles those of the Angara but in a much darker form. 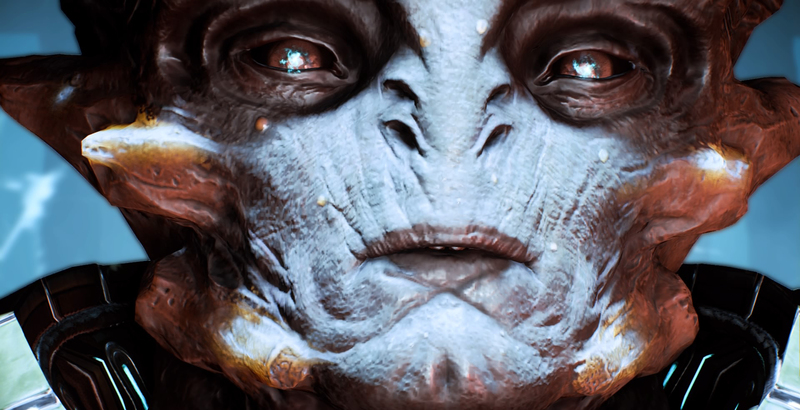 Indeed, players will learn that the kett are in fact Angara themselves, changed through the method of exaltation (genetic manipulation, re-education camps, and tortures) into the horrible selves they have now become. The kett only choose the healthy, whereas weak Angarans are sent to working facilities. As a result of this colonization of the Other, the Angara forget their pasts and become metaphorical fanatics. It is no coincidence, thereby, that the kett resemble catholic missionaries and priests that drive the native population into a loss of identity by imposing their culture on them. The Initiative and players are thus exposed to the demons of (their own) history, when white colonisers and missionaries imposed their culture on the natives. 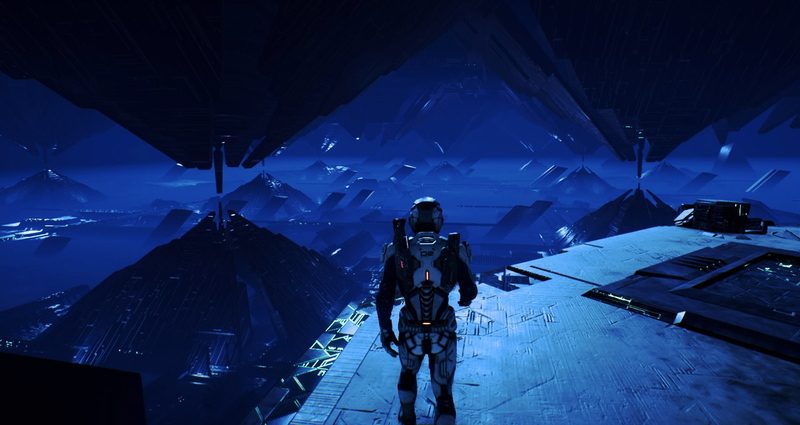 Players may now choose to embark on this path of colonization, in that they treat the Angara as inferior and exclude them from political issues, or emancipate themselves from this by choosing a post-colonial route. 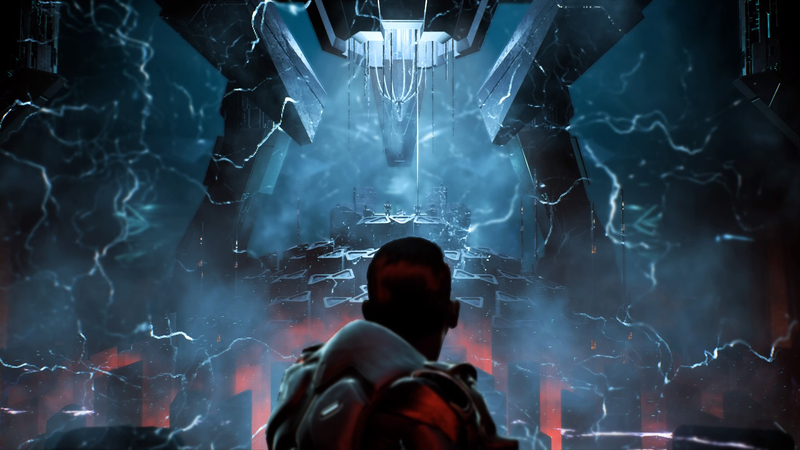 Here, the Angara will be included into the council that is founded at the game’s end (main quest), and players may aid them in their endeavours to rebuild Havaarl (side quest). Notwithstanding these efforts, the colonising aspect of games remains in the foreground—the dominant helping the supposedly weak—but utopian routes into a different future are possible (as in the above mentioned). 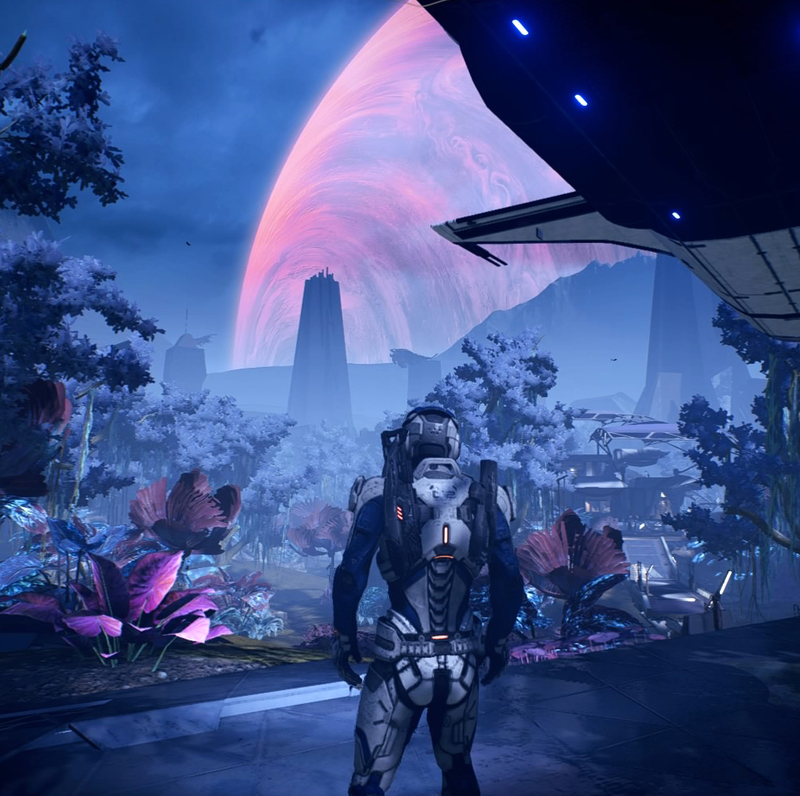 Choosing between a colonial and post-colonial way thus prepares the game’s final act on Meridian, when the Initiative finds the first truly habitable planet. Although seemingly a hopeful ending, how players dealt with interracial conflicts gives it an either optimist or pessimistic touch. An imaginative openness thus marks this final act, as to how interracial relationships will develop further, and whether humankind may repeat history and purse linear worldviews or emancipate themselves from these and strive towards post-colonial negotiations between many races to strive for Utopia. 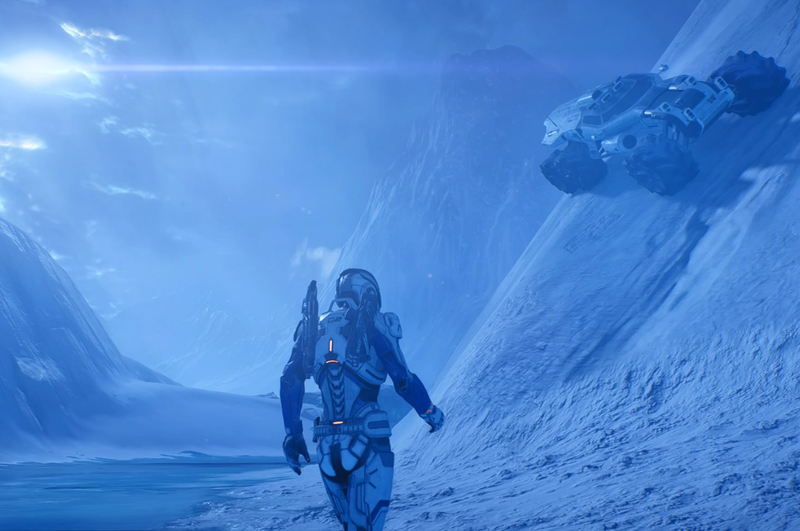 The game tourist’s experience in Mass Effect: Andromeda is thus a fundamentally regenerative one. In documenting these events and its protagonists, but also in how the come to know the habitats, their ecosystems and cultures, they potentially learn strategies for dealing with similar problems in the real world. And the game tourist’s work makes this approachable for onlookers as well. Baccolini, Raffaella and Tom Moylan, editors. Dark Horizons: Science Fiction and the Dystopian Imagination. New York: Routledge, 2003. Burke, Edmund. A philosophical Enquiry into the Origins of the Sublime and Beautiful. Calgery: Anodos Books, 2017. Fortunati, Vita. “Why Dystopia Matters.” In Dystopia(n) Matters: On the Page, on Screen, on Stage, edited by Fátima Vieira, 28-36. Newcastle-upon-Tyne: Cambridge Scholar Publishing, 2013. Davis, Laurence. “Dystopia, Utopia and Sancho Panza.” In Dystopia(n) Matters: On the Page, on Screen, on Stage, edited by Fátima Vieira, 23-27. Newcastle-upon-Tyne: Cambridge Scholar Publishing, 2013. Moylan, Tom. Scraps of the Untainted Sky: Science Fiction, Utopia, Dystopia. Boulder, Colo.: Westview Press, 2000.